The stakes are just a little bit high when you’re competing against the best athletes in the world in an event that will be televised to millions. It would be easy to let nerves get the better of you before you even begin! Some pray to keep calm. Others meditate. 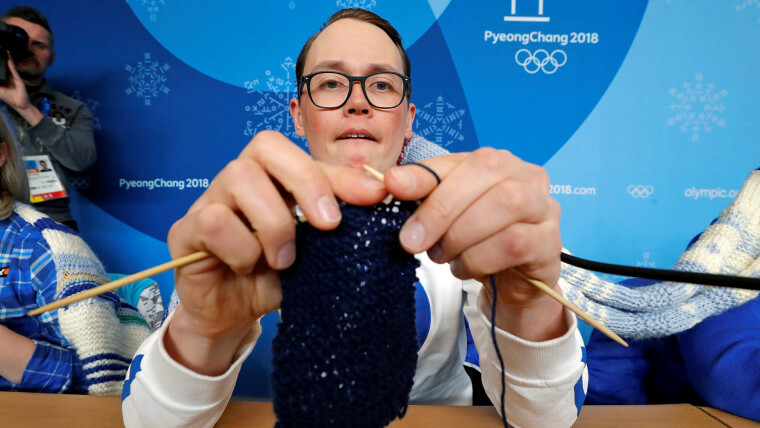 As for the Finnish Olympic team ... they’ve taken up knitting. Or rather, they’ve continued a sideline tradition that was previously spotted at the 2014 Sochi Olympics. Finnish Olympians have been seen lugging their needles and yarn around Pyeongchang like they were Gatorade and Icy Hot patches. A video clip even shows Finnish snowboarding coach Antti Koskinen engaging in the Finnish national pastime at the top of the slopestyle course, barely breaking to wish rider Roope Tonteri good luck. Some viewers want to know where this was going. Were they making matching team hats to wear to the closing ceremonies? Talk about warm and fuzzies! Keep calm and karma on ... now that sounds like a winning strategy.